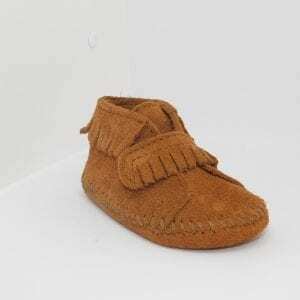 Moccasins are a great first pair of shoes to learn how to walk in. 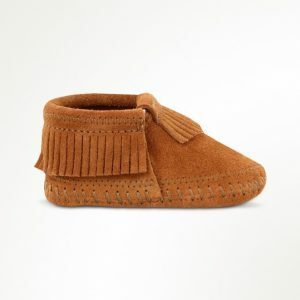 At this time their feet are still fat and flexible. 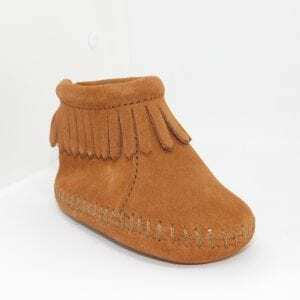 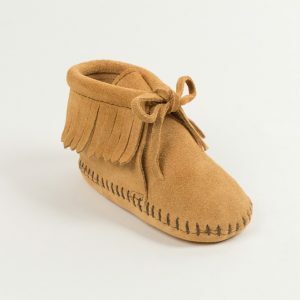 Having soft-soled moccasins allows babies to build up strength in their feet. 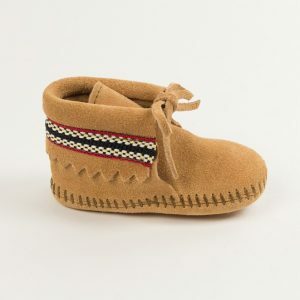 When the time come for them to transition into hard-sole shoes you can look at our children moccasins.